Reid Colella will wrestle at The College of New Jersey beginning this fall, as Wayne Valley senior’s work ethic on, and off the mat, speaks volumes | Mike Lamberti, From Margate To Cleveland, And Back ! For Wayne Valley’s Reid Colella, the decision to continue wrestling on the collegiate level came down to a love of the sport as well as some lofty academic goals. 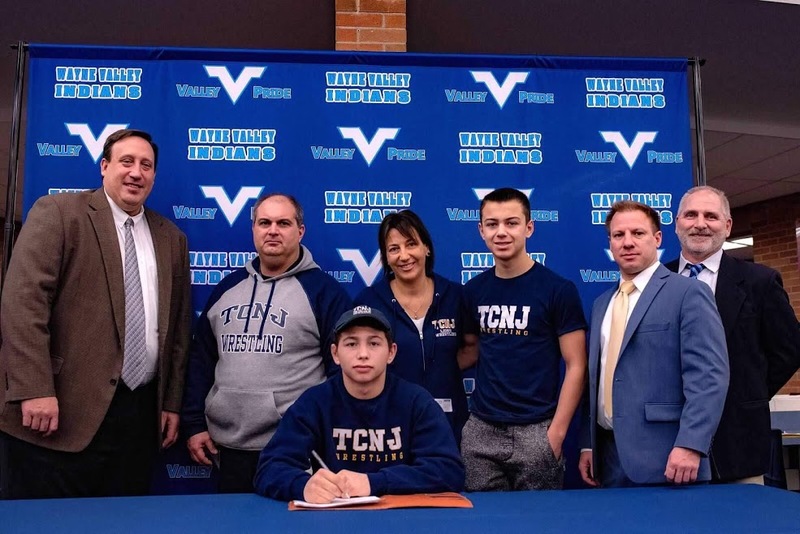 Colella, a captain on this year’s wrestling team, made it official on Feb. 5 that he will attend the College of New Jersey, beginning in the fall of 2019. Colella’s high school teammate, Connor Murphy, a 2017 Valley graduate, is currently attending TCNJ. Colella is having an excellent season at Valley this winter, with a 30-1 record, at 170 and 182 pounds, as the Indians were 16-4 heading into the sectional semifinals on Feb. 6. His work ethic heading into this season impressed head coach Todd Schroeder. Colella, an excellent student at Wayne Valley, hopes to major in Health and Exercise Science at TCNJ, with the ultimate goal of being a Physical Therapist. In college, Colella figures to wrestle at 165 or 174 pounds. The Pride are having a tremendous season this winter, with a 14-1 record through matches of Feb. 1. Among the standout wrestlers on the team this season is Dan Kilroy, a 2-time state medal winner at Wayne Hills, who is currently a junior.